We know Mike is one of the premiere street skaters raging through the urban environment. 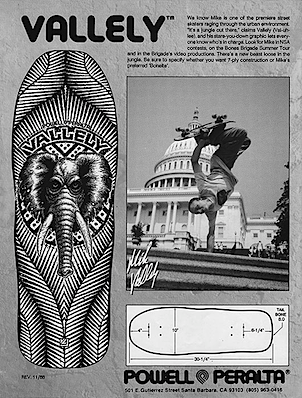 “It’s a jungle out there.” claims Vallely (Val-uh-lee), and his stare-you-down graphic lets everyone know who’s in charge. 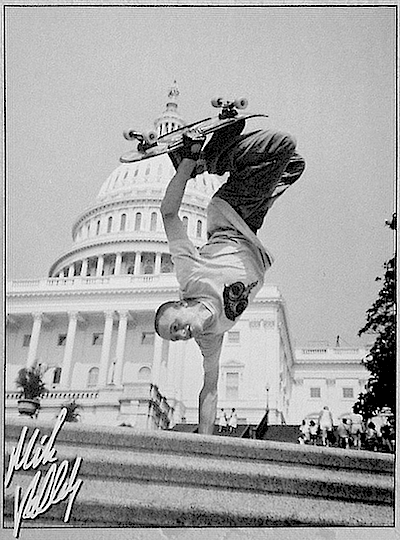 Look for Mike in NSA contests, on the Bones Brigade Summer Tour and in the Brigade’s video productions. There’s a new beast loose in the jungle. Be sure to specify whether you want 7-ply construction or Mike’s preferred ‘Boneite’.